This software is only available to people of legal age. The game offers no possibility of winning money or anything of value. Success in playing this game does not necessarily imply your success in a similar real- money game. Playing-Speed of PokerAlfie Software Speed for one decision (Settings: Speed 1): Calculation (6 player in game) on Intel i7-4790K 4x4.4-GHz: ca 5.7 second Calculation (2 player in game) on Intel i7-4790K 4x4.4-GHz: ca 1.7 second Speed for one decision (Settings: Speed 3): Calculation (6 player in game) on Intel i7-4790K 4x4.4-GHz: ca 1.5 second Calculation (2 player in game) on Intel i7-4790K 4x4.4-GHz: ca 0.5 second Speed for one decision (Settings: Speed 5): Calculation (6 player in game) on Intel i7-4790K 4x4.4-GHz: ca 0.3 second Calculation (2 player in game) on Intel i7-4790K 4x4.4-GHz: ca 0.1 second Calculation on Intel i7-5960x 8x4.0-GHz (OC): ca 1.3 faster than on i7-4790K All calculations are executed on CPU, there is no use of GPU or some kind of FPGA. There is almost no degradation in play quality by increasing the calculation speed. Playing-Strength of PokerAlfie No-Limit Texas Hold'em cannot be completely solved, not even the 2-player-version. So the nonexisting 100% optimal player is playing better then PokerAlfie. 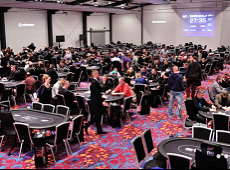 But because of the way it is built, PokerAlfie plays closest possible to the optimal strategy. 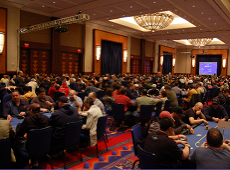 PokerAlfie’s play strength challenges top poker players. PokerAlfi’s concept of thinking is similar to concepts used by chess software. 1. 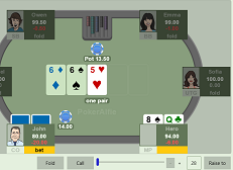 PokerAlfie does not use Neural Networks or Deep Learning and does not need any pre-play learning time. 2. 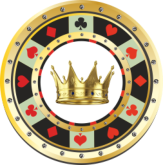 PokerAlfie does not use an expert system; there is not a line of code used to guide him in making any decisions. 3. There is no pre saved data except some probability data for Preflop and Flop. Also those data can be generated on the fly for about 0.3 second per stage. 4. PokerAlfie does not analyze opponents decision-history and does not adapt his play to opponents play style.